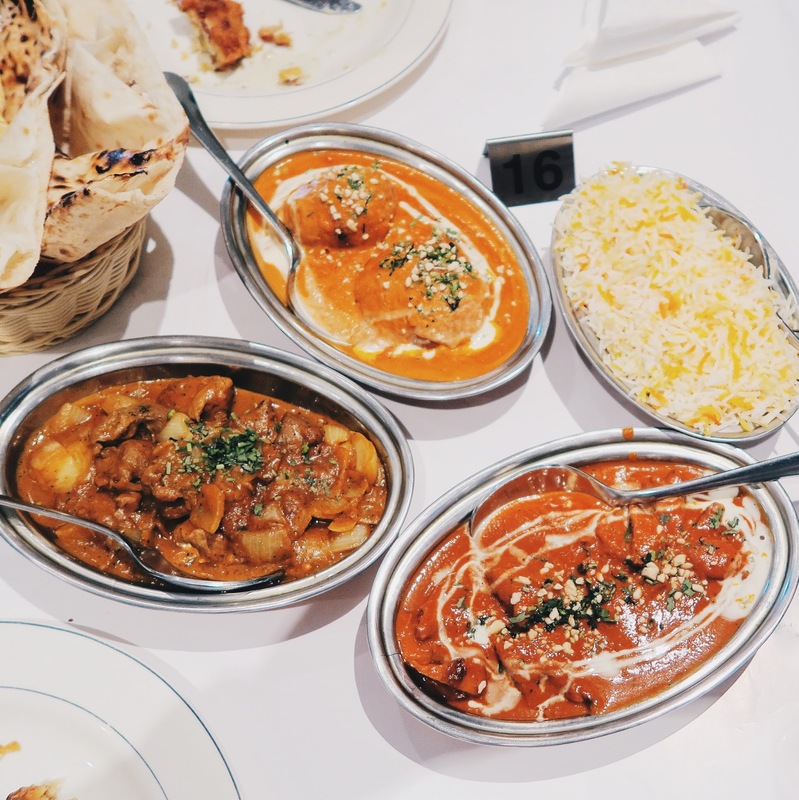 Indian food is something that I don’t eat a whole lot of, because my mum has never been a fan, and it’s just not as abundant as some other cuisines in Melbourne, in the areas I frequent anyway. 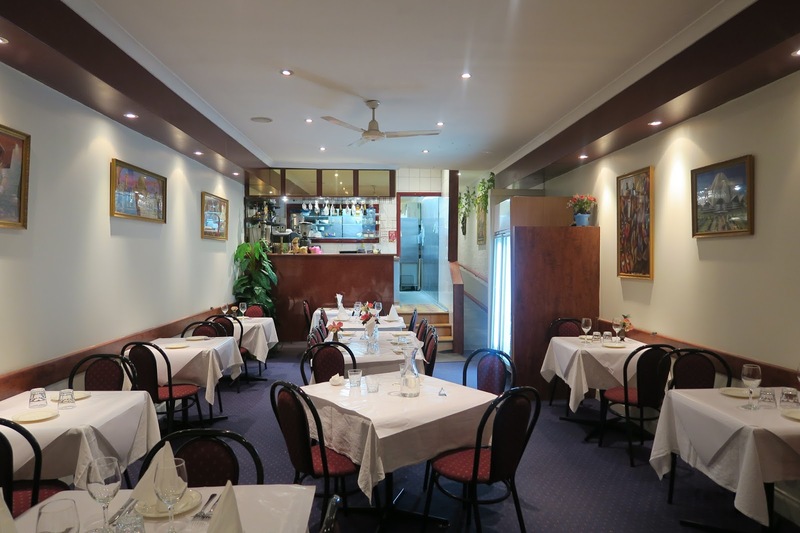 However, Ganesh Indian is super close to me, and after ordering take away a couple of times from them, my friends and I decided to dine in at the restaurant. The setting of the restaurant is quite cosy, and as soon as you step in, the aroma of various spices in the air sets the scene right away. One of my friend highly recommended the onion bhaji, and from her description, it sounded like an intense version of onion rings. However, this was not the case. 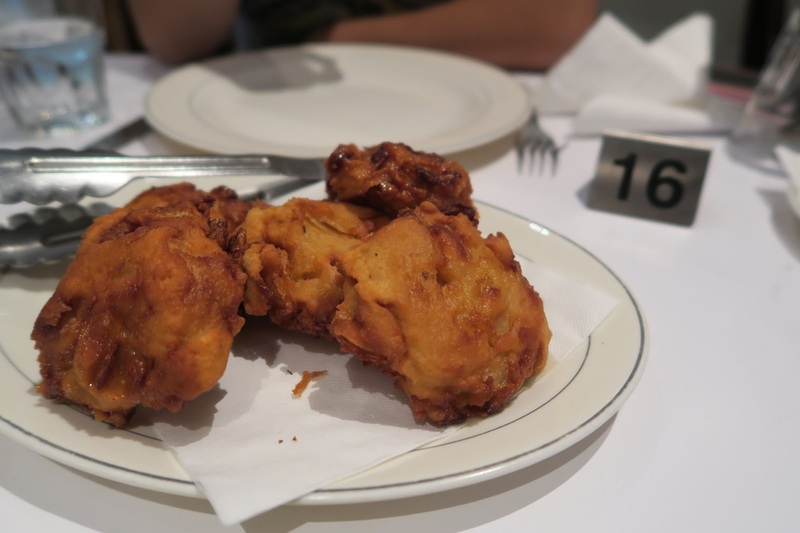 The deeped onion bhaji was actually quite doughy, and had too little onions flavour wise, and was rather bland on its own. 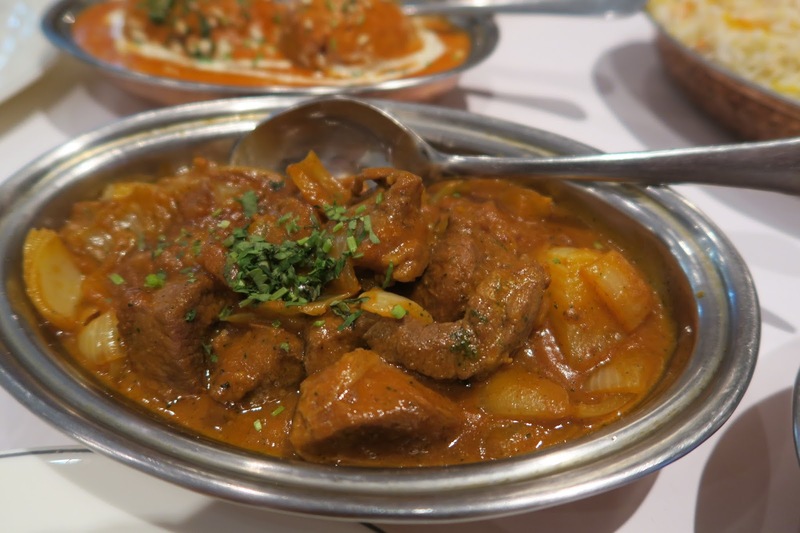 You really can’t not order a butter chicken at an Indian restaurant, and as soon as the plate was placed on our table, the intense colour of the curry already looked promising. The creaminess of the sauce was addictive, and there was plenty of chicken drowned in all that sauce! Piaza means onion I think, hence the large amount of onion in this dish. The sauce was more on the acidic side, and was also thinner in consistency. I’ve never tried this curry before, usually going for the more popular Lamb Korma, but I’m glad my friend made the executive decision and ordered this instead, it’s always nice to try something new (only when it taste good though let’s be real). Speaking of trying new things, Shahi Paneer was another adventurous choice of the night. 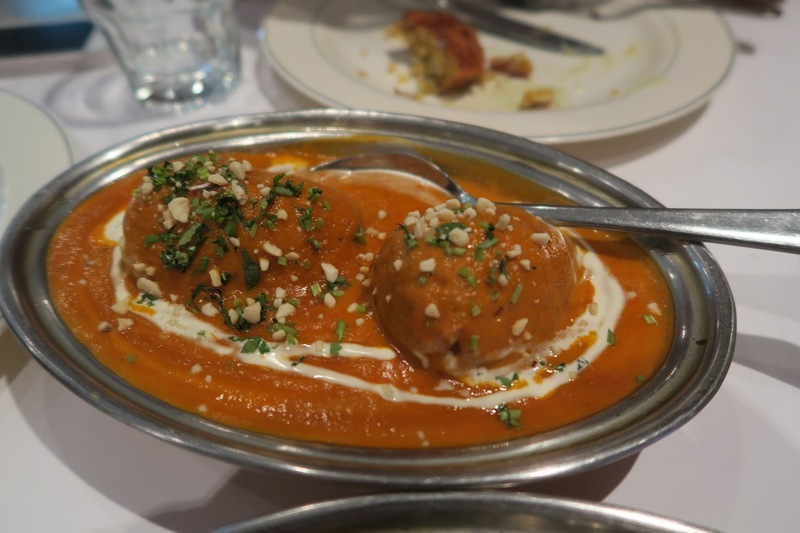 Paneer is a type of dumpling made with mainly cottage cheese, and they’re huge! 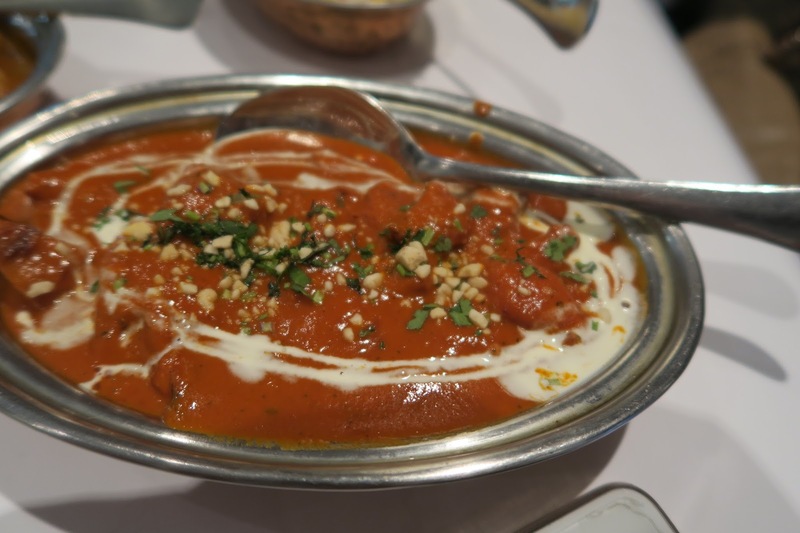 The middle of the paneer can be a little bland, however, pouring some of the gravy certain elevated the flavour. The sauce had plenty of almonds in it, which added a nutty taste. 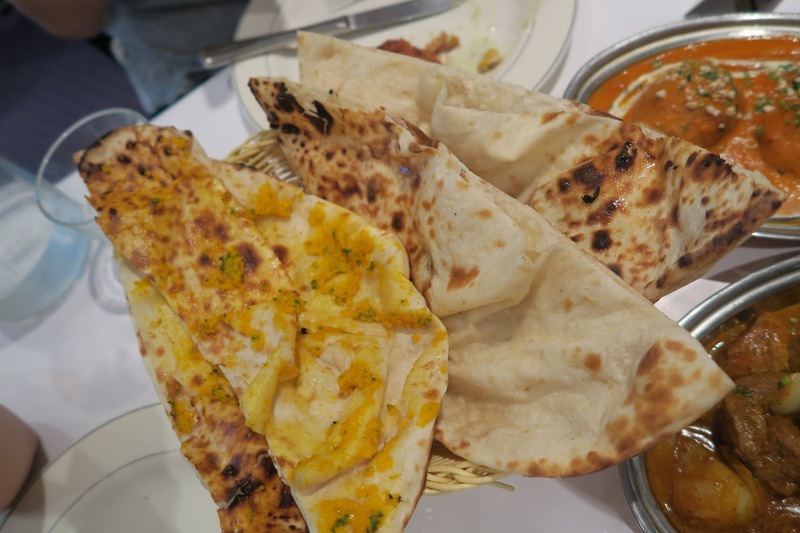 Of course we had to order plenty of naans to dip in with all the curries! The garlic were surprising yellow, and didn’t have enough garlic for my liking, but then again, I am pretty obsessed with garlic. The plain naan was exactly that, a perfect base to soak up all the different flavours in the sauce! 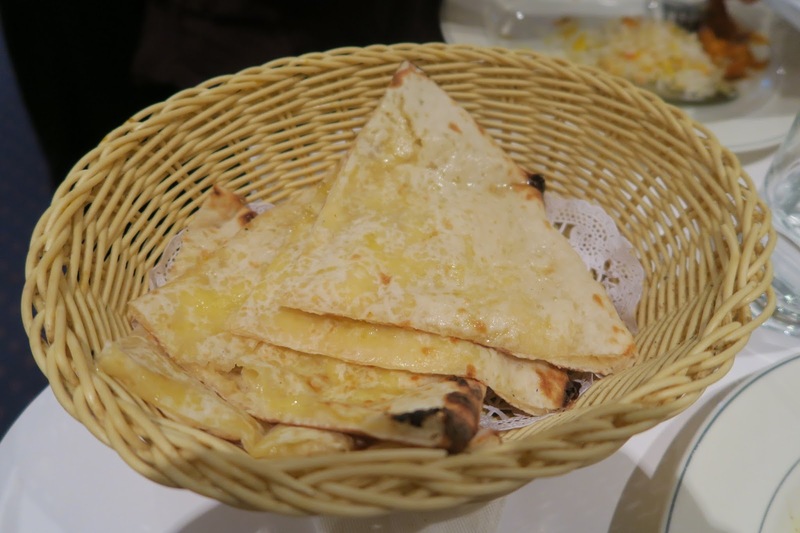 The cheese naan had a thick layer of cheese stuffed in its pockets, and they came so hot off the tandoori that I burnt myself a little, but the pain was definitely worth it. We didn’t really have room for dessert, but the waitress highly recommended the pista kulfi, Indian version of pistachio ice cream, and who could say no to that? 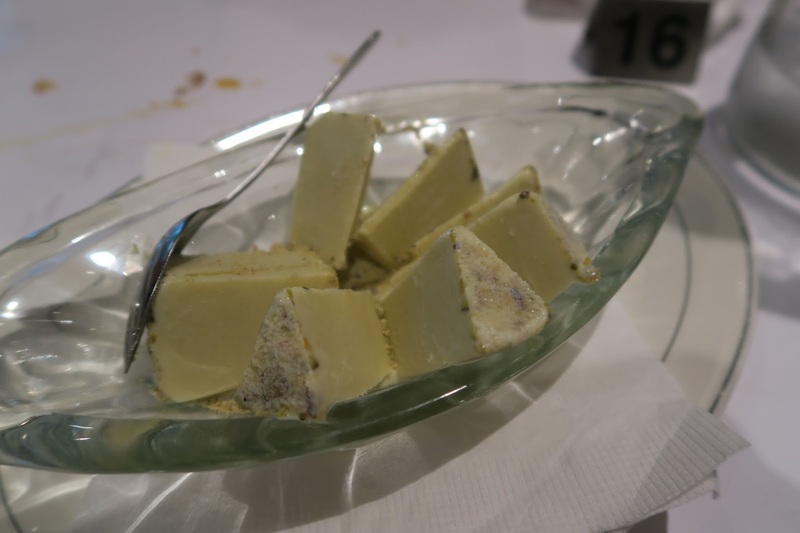 The triangular blocks of kulfi was icy and pistachio-y, a lot less creamy than traditional ice cream, and the lightness made it the perfect end to our dinner. Ganesh Indian served up some pretty darn amazing food, along with friendly service throughout the night. It’s definitely a place I will be returning to, maybe I’ll even force my mum to come next time. Oh and they also do $9 lunch boxes during lunchtime (DUH), which is right up my alley. 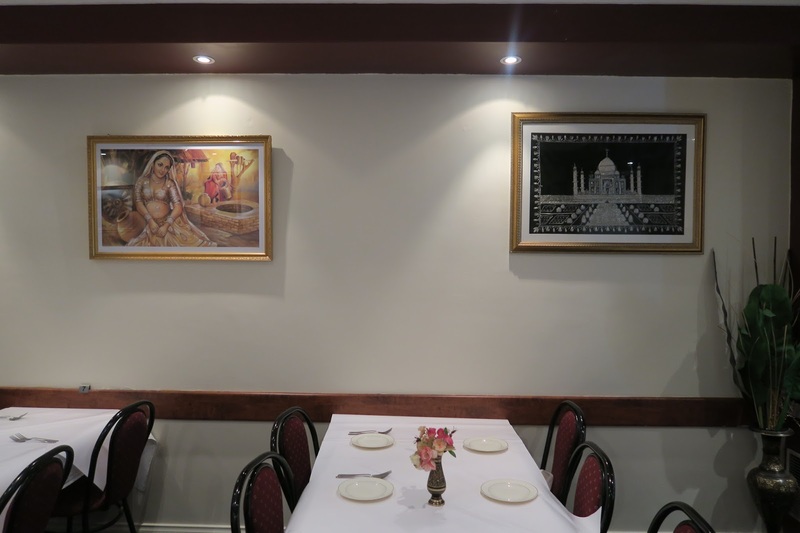 Ganesh Indian is located on South Parade, right across the road from Blackburn Station.